Quinceañera dresses are created from the brilliant minds of dress designers. We interviewed some designers who have produced beautiful quince dresses year in and year out and want to share their advice with My Quince girls. Q: What led you to design quinceañera dresses? 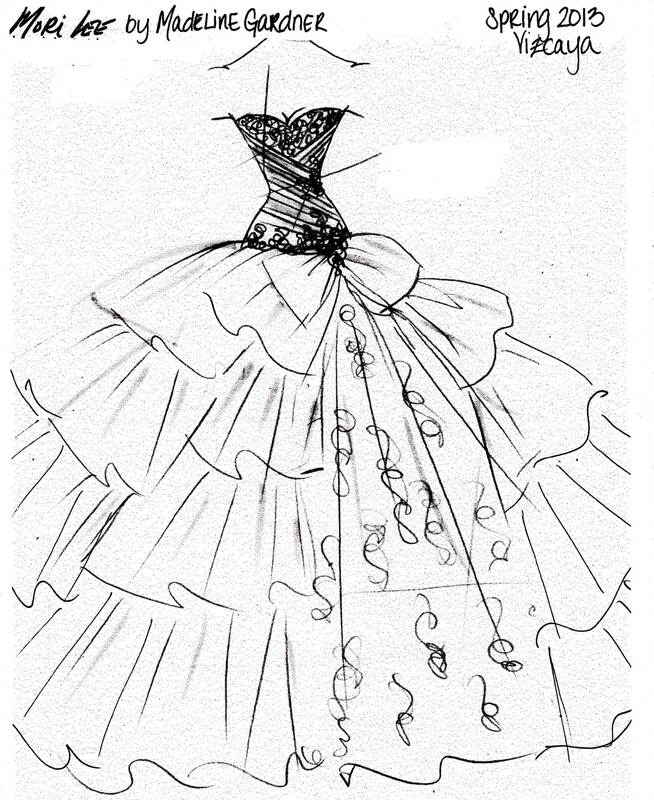 A: I started designing Quinceañera dresses because I really love making ball gowns. Our company was already making Prom gowns that had the same feeling; so many of the stores had asked us to do a collection. Q: In your opinion, what are the current trends for quinceañera dresses? A: Color, texture, elegance, and individuality are the new trends. Our collection is focused on what makes the Quinceañera girl feel special and unique. We use the finest fabrics, embroideries, beading, and trims. 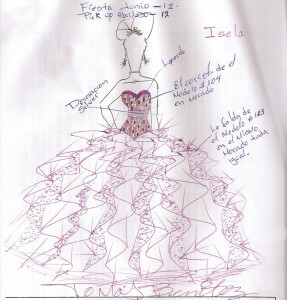 Q: What was your first quinceañera dress design? 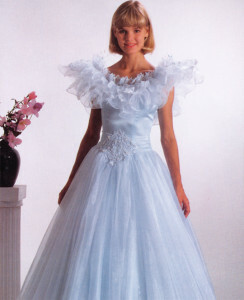 A: My first Quinceañera dress was a lace bodice (I love lace!) with an organza skirt in Blush Pink. I added a very wide satin ribbon to accent the waist! Q: What’s your favorite part of designing dresses? 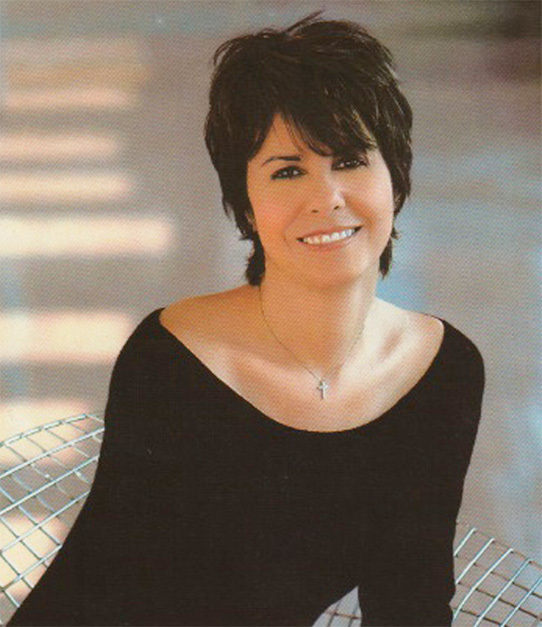 A: My favorite part of designing dresses is that I get to always do something new. Fashion moves so quickly and it’s so fun to be able to change and evolve each collection, each season! Q: With themes being very popular in quinceañeras, how has this influenced your designs? A: I try to create dresses that the girls can choose a theme around. Whether it’s mixing colors or using a new fabric or lace that can inspire the Quinceañera girl. Q: Do you have any advice for future Quinceañera girls? A: My advice would be to choose a dress that makes you feel beautiful and special, but shows your true personality as well. Enjoy this special time in your life and celebrate who you are! Q. What led you to design Quinceañera dresses? A: Being headquartered in Texas; we have a large Spanish population and a large demand for beautiful Quinceañera dresses. Q: What inspires the style of dresses you design? A: We are constantly placing ourselves in the forefront of innovative and fashion forward designs due to the quick feedbacks from our stores and consumer demands. Our eyes and ears are always fine tuned to their opinion and demands. Q: Since you first started designing quince dresses, how have they evolved into what you see today? A: Today’s designs are young and fun, yet sophisticated in construction and couture making. The beading details are also intricate in combination working with lace and embroidery. Q: What is your favorite part of designing dresses? A: My favorite part of designing dresses is seeing the gowns come alive when girls put them on, seeing the joy in their eyes, and how happy they are at their Quinceañera. A: We have incorporated themes like animal prints, Mardi Gras, and safari themes into some of our gowns in our two collections: Beloving and Princess Collections. A: Start shopping for gowns early; at least 6 months in advance from reputable stores. Also, avoid buying and ordering from the Internet. Compare quality and design with actual pictures and samples before you place the Quince gown order. Q:What inspires the style of dresses you design? A:When I design the style of dresses my inspiration is to give the quince girls more options to choose from instead of putting on a dress they don’t completely like, just because there is not another option available. I believe I was born to please quince girls who are looking for something unique and different. Q:In your opinion, what are the current trends for Quinceañera dresses? A: Unfortunately not everyone dares to design something different and that makes you look just ordinary. I believe many girls out there do not want to be just like everyone else. So, therefore I consider myself to being a versatile designer; Lady Gaga inspired my last collection. Q: What type of girl do you think of when designing your dresses? A: The girls who dream to be the most beautiful, elegant, glamorous, and unique quinceañera on their special day. Also, for me their quince dress is the most important dress in their life because they only turn fifteen once. A: The first thing I always advise many families and the quince girls is to have a budget so that they are not in debt afterwards and to plan the event with enough time, at least a year. The look of the quinceañera is the main thing, how she is going to stand out and give her the opportunity choose or create her dress to her liking but with the help of an expert so she won’t look bad on her special day. Each designer began their careers differently but has continued making fabulous quinceañera designs to this day. 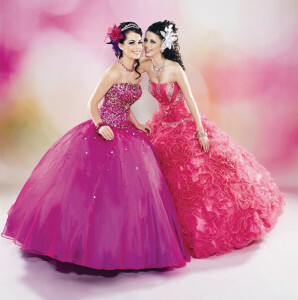 We rely on these designers to create the best quinceañera dresses that reflect the girl’s personality and style. In the end, the best quince advice comes from the people who strive to make every girl feel beautiful inside and out. Check out our Online Dress Gallery for some dress inspiration! Awesome website you have here but I was wondering if you knew of any message boards that cover the same topics discussed here?